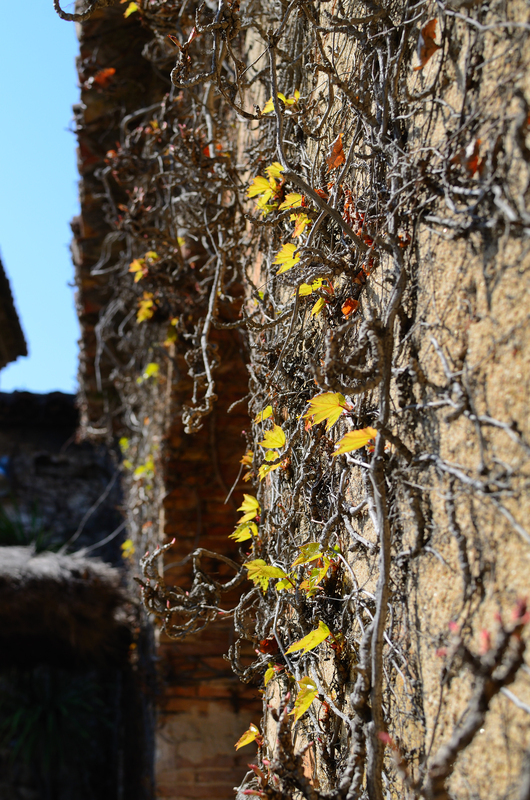 Spring decorates every year the walls of Catalan farmhouses (cat. masias) with incredible strokes of color as if mother nature was immersed in some kind of restoration process to embellish what only seems to be held by the knots and entanglements of climbing plants like this. Watching the afternoon sun fall on these bright leaves is really a pleasure to the eye.